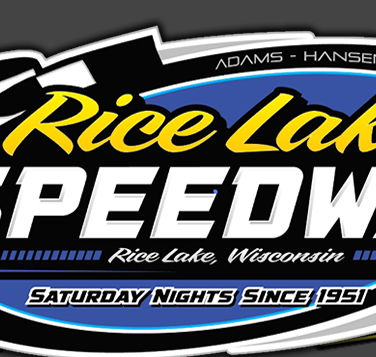 RICE LAKE, WI (September 5) - The Rice Lake Speedway completed its 2015 racing season with a wrap up special event Saturday night, and topping the list of winners were Ryan Viltz and Jake Hartung, who both made late race passes for the lead in their respective divisions stick for feature wins. Other winners on the final night of racing included Curt Myers, Jay Kesan and Jason Havel. The Midwest Modified feature saw the first eight laps run as a jumbled mess with an incredible seven yellow flags during that time period for a variety of spins and other entanglements. Through all the yellow flags, Grant Southworth had been scored the leader although he was receiving heavy pressure from Nick Koehler. Viltz had started sixth on the grid and moved into the third spot following yellow number seven. Suddenly, without warning, a race broke out for the lead and everyone settled down and ran off the last twelve laps without a stoppage. Viltz found a hole to the inside of Southworth on the last green and surprised the Bloomer driver as he blasted past him on the low side and took over the top spot. Southworth responded and pulled to Viltz's rear bumper and the battle was on. Meanwhile, Koehler found himself in a big battle for third with Mark Thomas who was on the move also. Behind them, another three way battle for position saw the racers swapping spots on every corner. Southworth challenged for all he was worth, but Viltz was putting down some very fast laps and he gradually pulled away from the pack and extended his lead. Viltz continued on his merry way, and drove home for his third Rice Lake feature win of the year. Southworth finished a solid second with Koehler nipping Thomas for third and Michael Truscott completed the top five. The Modified feature saw probably the most stunning late race development of the night. Koehler, who was doing double duty, led the first half of the Modified feature, running very well using the high groove on the track. Kevin Adams, who started fourth, gradually worked his way past Cory Mahder for second and then closed on Koehler, diving under him in turn four just at the halfway point of the race to take over the lead. Mahder was also eventually able to pass Koehler while Hartung moved forward from the fourth row. Adams had built up a comfortable lead over Mahder as Hartung slipped past Koehler for third. With just four laps left in the race, the yellow flew for a spin and things would drastically change once the green waved again. Adams got too high in turn one on the start and Mahder pulled under him while Hartung tried to slip around him also. The leaders raced three wide into turn three with Hartung edging into the lead. Adams fought back and they were still three wide as they again raced into turn one. Hartung made the top side work as he continued to hold the lead but Adams pushed too hard trying to get under him and he spun around , triggering another yellow with only two laps to go. Adams retired to the pits and Hartung fought off a couple of challenges from Mahder to score the stunning turnaround victory. Koehler continued his fine run to finish third while Mike Anderson came from tenth to nip Mark Hanson for the fourth place position. The win was Hartung's first of the year at Rice Lake. The Super Stock feature figured to be a three way battle between Jason Forehand, Shane Kisling and Myers and that's just exactly how it played out. Forehand took the early lead from the outside pole while Myers came storming up from the third row to split Kisling and Bart Steffen and move into second. From there, he continued to press Forehand as the field was stopped on several occasions for yellow flags. On each green, Myers would challenge Forehand for the lead but Jason would continue to fight him off. A restart on lap eleven would prove to be Forehand's undoing as on the green, Myers made a bold move down the back chute, dived low and was able to squeeze under Forehand to take over the lead. Myers would then edge away from the field as Kisling slipped past Forehand for second. However, the yellows continued to rain down, and following another slow down, Forehand would move up a groove on the track and drive around Kisling to regain second. With two more late yellows, Forehand would try the same move on Myers but Curt was just a little too strong for him and fought off his serious challenges as he drove home for the win by two car lengths. Kisling would settle for third while Eric Olson fought his way up from the fifth row to edge Steffen for fourth. The Rice Lake Speedway has been a very successful place for Myers this year as his win Saturday was his ninth of the year at the track, tops for any driver. After a first lap yellow, the Street Stocks would run their twenty lap finale nonstop and while Sam Fankhauser and Jimmy Randall would battle side by side for the lead early, neither would find their way to victory lane. The first half of the race saw Fankhauser and Randall exchange the top spot on a couple of occasions in a crowd pleasing duel. However, they got so busy battling with each other that they seemed to slow the other down, and what was a two car battle suddenly became a five car war as Kesan, Cody Kummer and Kolby Kiehl joined in. Kesan was especially sharp on the inside and first he got under Fankhauser to shufffle Sam back and then went after Randall. Another low side move did the trick and Kesan shot into the lead. Randall tried to fight back but he gave up another spot as Kiehl was having himself an outstanding run too. Kolby made a late race attempt at Kesan, but Jay was the field covered as he drove on to his second win of the year at Rice Lake. Randall had to settle for third with Fankhauser and Adam Soltis filling the next spots. Another driver completing a successful year at Rice Lake was Jason Havel, and he drove to his eighth Pure Stock win of the season. Mike Grover was the early leader of the race but Havel was on the move early, driving past first Justin Wineberger and then Grover to take over the lead. Once in front, Havel checked out in the nonstop race and was soon a full straightaway ahead of the field. C.J. Wagner started eighth on the grid and he gradually worked his way forward, passing Weinberger for second and cutting the lead on Havel somewhat but Jason was on cruise control as he easily took yet another win. Weinberger finished a strong third with Randy Graham making a late race pass of Grover for the fourth spot. 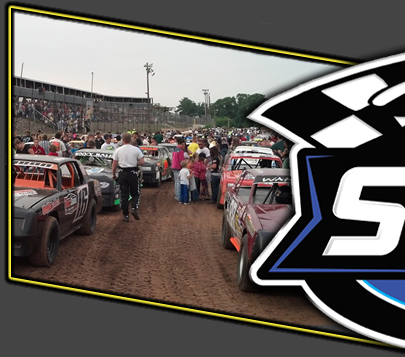 This race concluded the 2015 racing season at the Rice Lake Speedway. 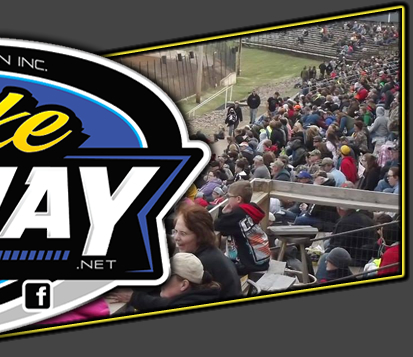 Follow the speedway's face book page for off season announcements including the date of the annual banquet and the 2016 race schedule, which is expected to commence in early April.